Location : Marina Mall Pusok, Lapu-lapu City. 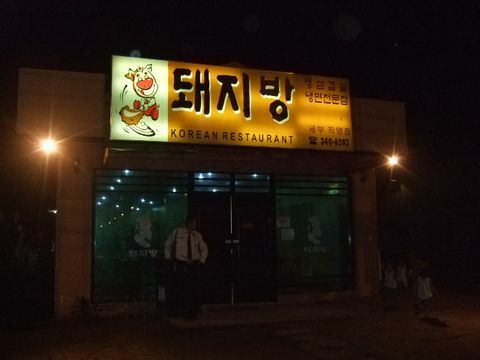 This Korean Restaurant is located near Marina Mall where you can find many kinds of restaurants around here. 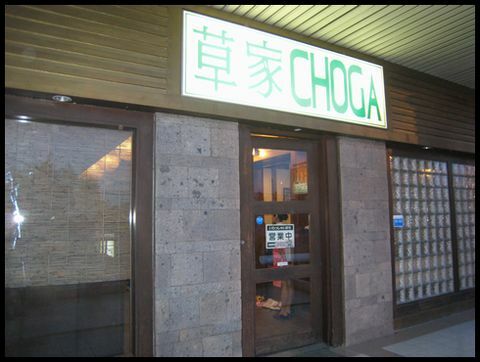 CHOGA provides us of course Korean foods and also the taste is good even though for Japanese. 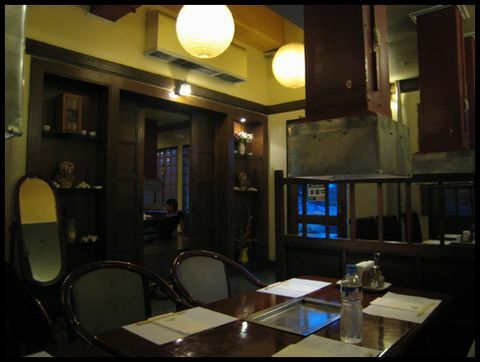 This is inside the restaurant which has nice ambience and you can choose where you wanna eat between table and Japanese style room. 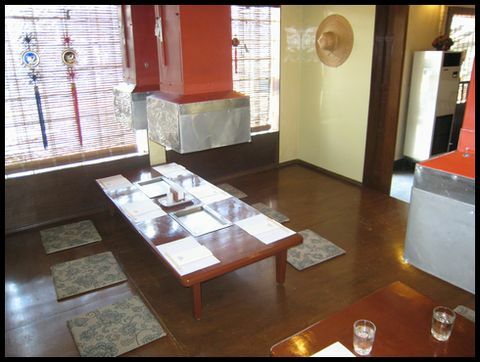 This is Japanese style room which you need to take your shose off as a manner. Don't forget to do that. If you are foreigner, you just follow the rule. 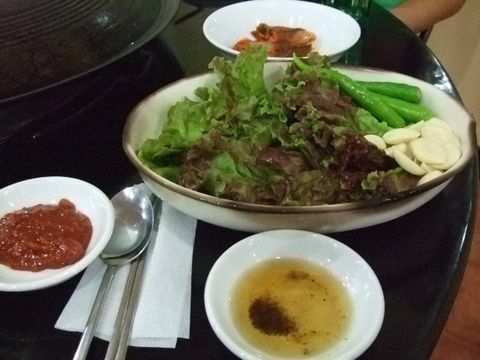 Most Korean restaurants provide us these kind of foods for free while you're waiting your order and also you can ask staff to have another helping again and again. This is my favorite appetizer here in CHOGA, it's SLICE STEAMED PORK with SOY SAUCE which is the best among all Korean and Japanese restaurants. I would like you to order it, I'm sure you'll be satisfied with this blissful taste. 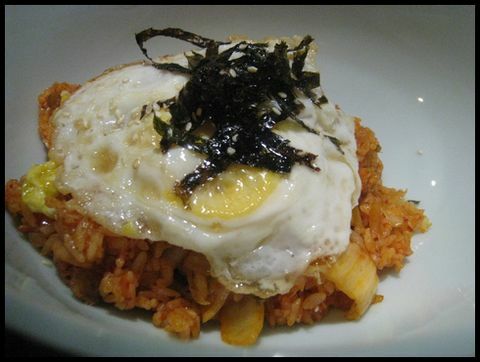 This is KIMCHI FRIED RICE which has a little bit hot, so you'll be able to eat all even though spicy one. 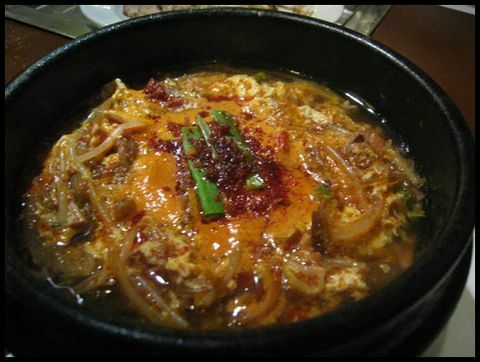 This is SPICY BEEF SOUP which is terrific hot, so if you're fiery lover. Just try it. When I ordered before, I couldn't eat it all because of spiacy, but now I'm already addicted to hot meals. 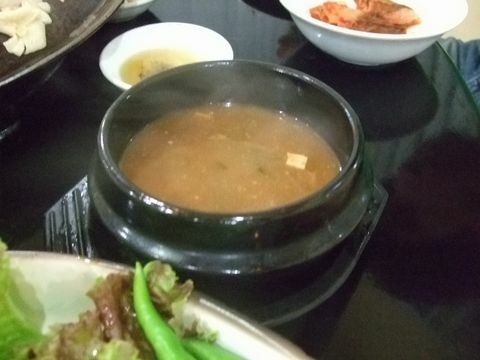 This is BEEF RIB SOUP which is good to order for the person who don't like spicy flavor. 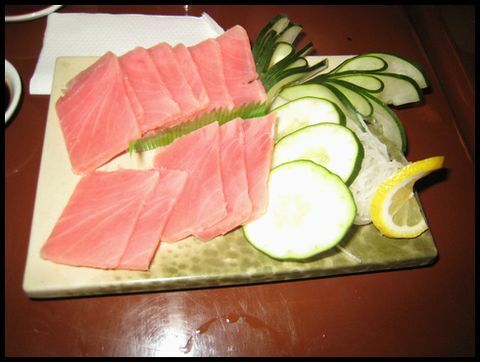 This is SLICED FRESH RAW TUNA which is really raw fish, so you can taste Japanese style food here in CHOGA. But I can't recommend you to order it because of taste is not so good like genuine Japanese raw fish. 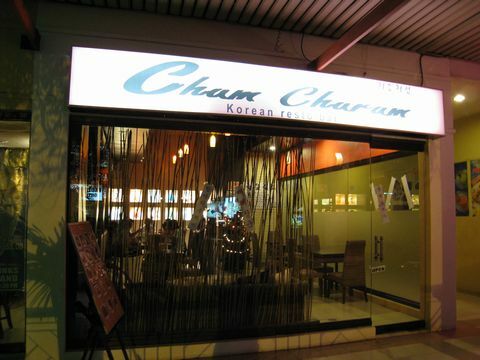 This is Korean Restaurant "Cheo Eum Cheo Rum" located near Marina Mall. It's too easy for you to find some restaurants around this place. 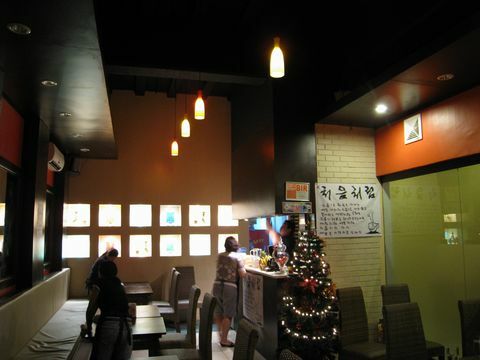 This is inside the restaurant and the restaurant provides us modern Korean foods. The style is terrfic famous among young genaration and also has good ambience inside the place compared to another Korean restaurants. This is "Kimuchi" for free while you're waiting for your order and also you're able to ask them another helping again and again. 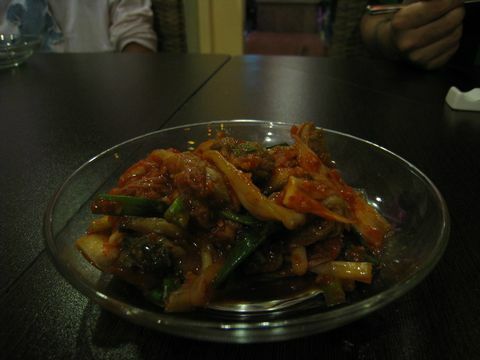 This is "O sam bulgogi" which is mixed with stir fried squid, beef, and vegetables. 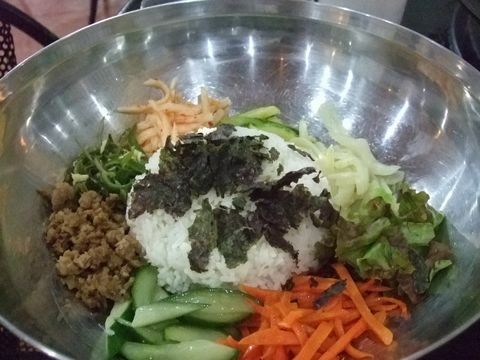 If you wanna konw how to eat it as a Korean style, you need to mix it with rice first. 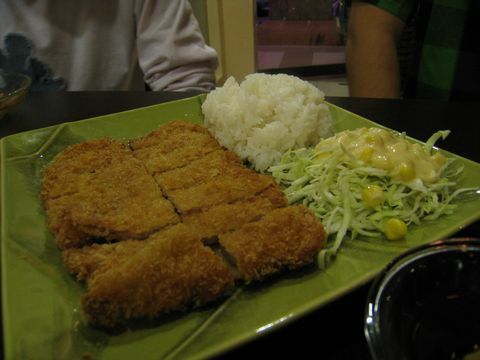 This is "Dongazu" which is Fried Pork with mild sauce. It is like Japanese Tonkastu so I can recommed you to order this one. This is "Japagaeti" which is not suitable taste especially for me so I can't recommend you to order this one. My Korean friend taught me that it's much better to mix with Kimuchi as a Korean style. This is "Sun Sal Law O Man" which is like Fried chicken with tomato ketchup. It's much better to order with your sompany because of big meal. Comments & Advices : This restaurants provides us modern Korean foods so most Korean especially young generation like to eat these kinds of meals nowadays. If you try modern Korean taste I can recommend you to come here. 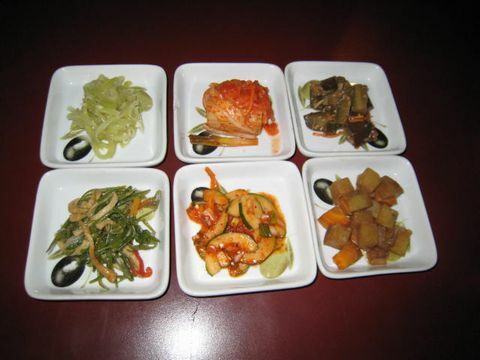 This is DEZIBAN which provides us really delicious genuine Korean meals,so you'll be satisfied with their taste and flavoe. This is inside the restaurant which is like public dining room, so you don't need to dress up in this place. This restaurant provides us not so many menu, so you don't need to be confused. I'm sure they have a huge of confidence to serve delicious meal for us because of a few menu. 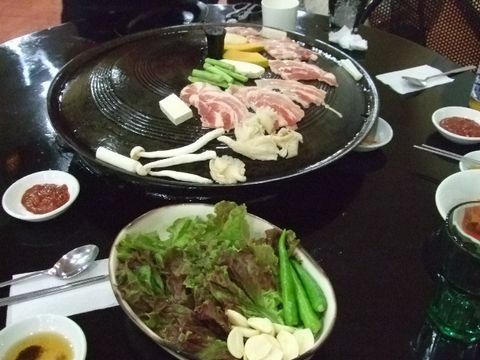 This is GRILLED PORK BELLY with VEGETABLE which their staff cooks for us, you just wait for eating it at your table. 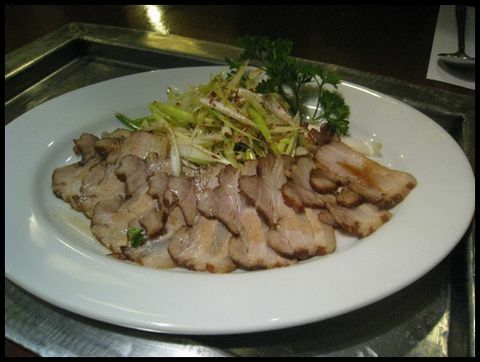 This one is side dish of GRILLED PORK BELLY with VEGETABLE which has lettuce, fresh garlic and green pepper. Don't eat especially green pepper, it's too hot. 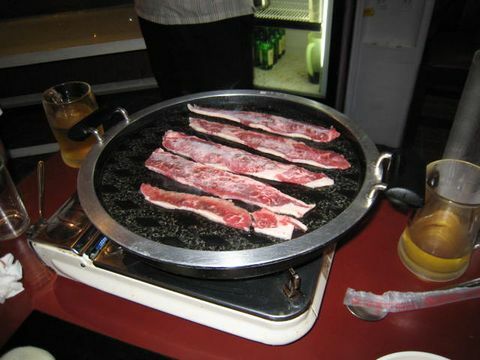 It's good to eat them with Grilled pork as a result, you'll taste genuine Korean foods. It's common to eat them with fresh garlic but I always grill the fresh garlic because of flavor, it's my style. 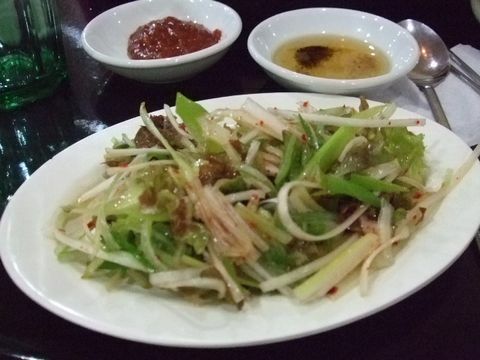 This Salad is also a side dish which has fresh green onion with sour dressing. This one is also good to have with Grilled pork. It makes you satisfy because of taste. 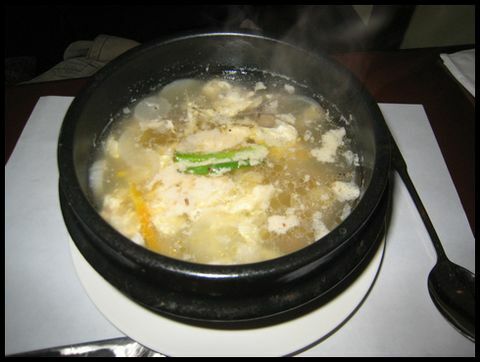 This soup is also side dish which has Miso taste with seafood stock. It's not spicy so you can taste it deliciously like Japanese Miso soup. 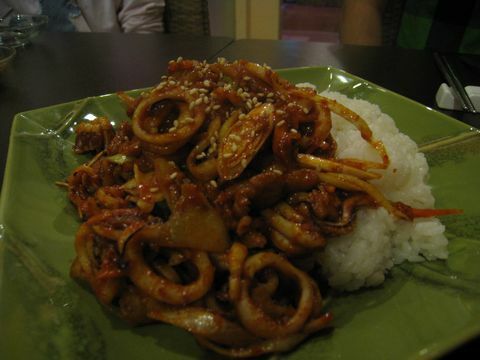 This is Stir Fried Pork with Spicy sauce which I can recommend you to order because of taste and flavor. This one is also good to have with lettuce and some vegeatables. 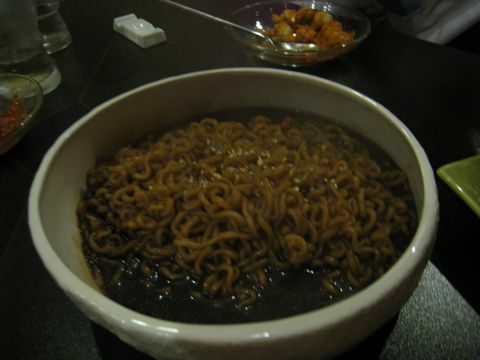 This is BIBINBA which is famous to eat in Korea. 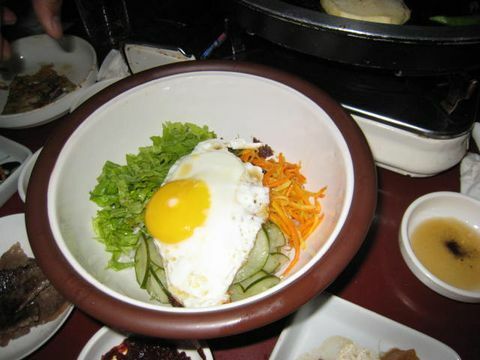 If you wanna know real Korean taste, it's good to order this one. Comments & Advices : This restaurant is located between a New bridge and an Old bridge and the place is terrfic and popular among Korean. 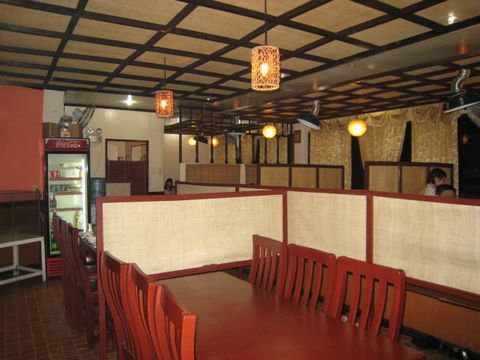 Most Korean love to dine in this restaurant because of genuine taste and terrfic delicious cuisine. 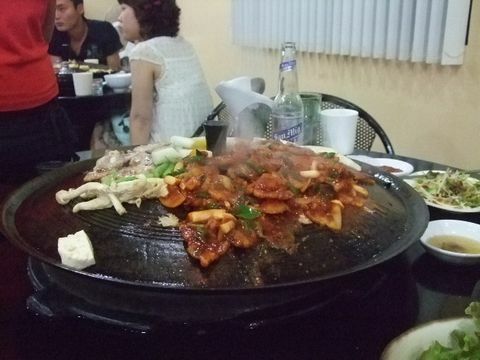 Actually my friends who are Korean recommended me to come here for dinner that't why I did. 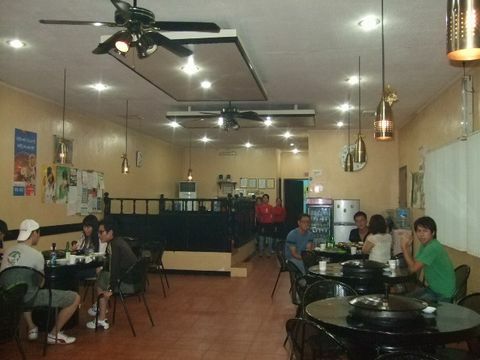 In my opinion, it was really suitable taste even though I'm a Japanese and I became a Korean-meal lover because of their foods.Indeed I would like you to try dinning in this restaurant when you visit Cebu.You'll be satisfied with delicious Korean cuisine. 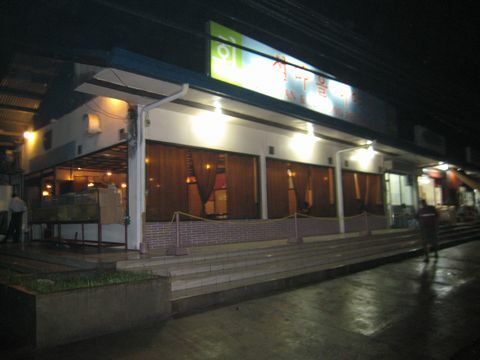 STORY OF ISLAND provides us delicious meals and also spicy foods, if you like hot and spicy taste you just visit this restaurant. This is inside the restaurant where you need to take off your shoes as a good manner. 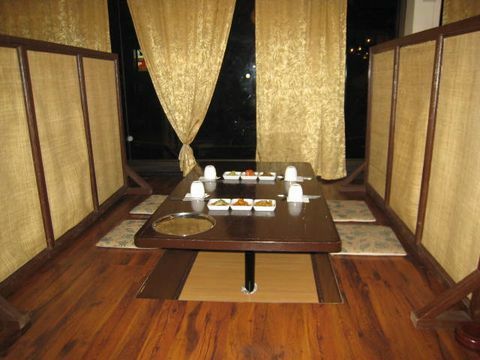 This is also inside the restaurant so you can choose a table if the table are vacant. Some table are always reserved by tourists especially Korean. Korean restaurants provide this kind of foods for free while you are waiting for your meals furthermore, you can have it again and again. not to use green pepper. You'll feel terrible and hot!! If you like spicy taste you just try it. Prices : 400pesos it's good to share it with your company. 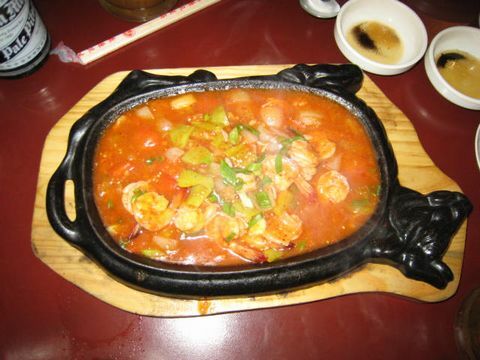 This is SHRIMP GAMBAS which is like stewed shrimp with sweet & spicy sauce. 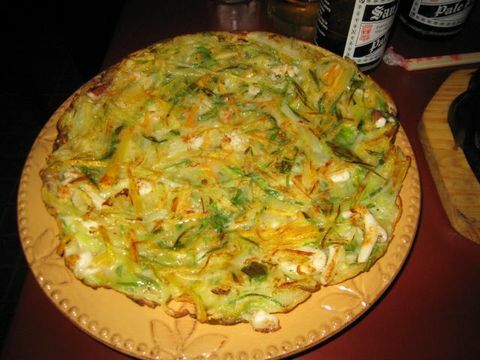 This is CHIJIMI which is good enough for 3 or 4 person so it's better to share with your friends and taste it. This one is famous to order especially in Japan. This is ??? 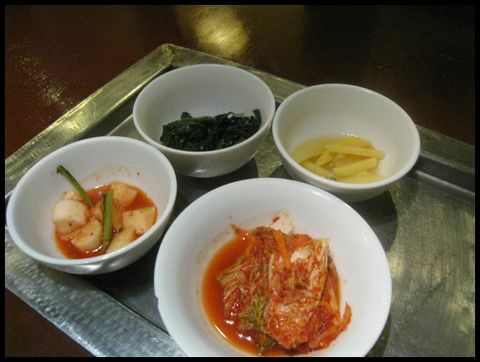 which is better to mix before eating, it is Korean style so you need to follow that style, as a result you'll enjoy your meal and flavor. 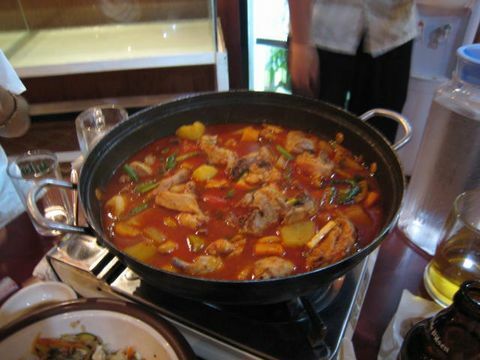 even though stewed vegetables have mild and sweet taste & flavor so you'll be satisfied if you try it. Prices : 500pesos it's good enough for 5 or 6 person. 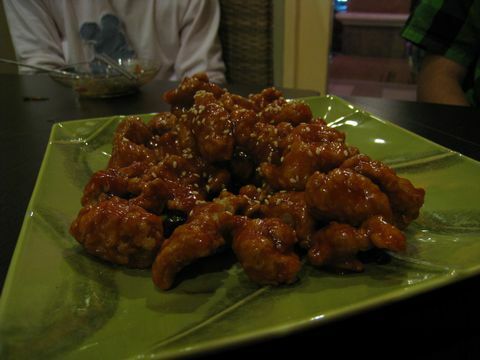 This is Grilled Chicken Feet with spicy sauce which is extremely spicy and hot!! If you like spicy foods you just try it but, I cannot recommend you to order it. Comments : I would like you to order Chicken and Vegetables with Spicy sauce and also the restaurant provides Seafood version which is also delicious if you like seafood you just have it. It is good enough for 5 or 6 people. 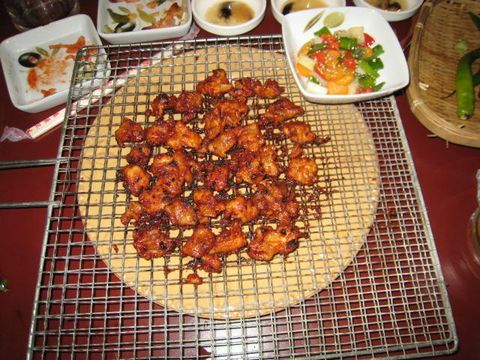 Advices : If you really like HOT & SPICY taste you just try Grilled Chicken Feet with spicy sauce but, don't give it especially your children and also Chicken and Vegetables with Spicy sauce has green pepper inside the meal so please figure out the spicy one.